I have always been a bit nervous about Thai curry. I suppose it is because I imagine them to be ferociously hot as there are often a lot of chillies in Thai food. This curry proved me wrong. I enjoyed every mouthful and, for once, could actually have had seconds if there was any left to have! The other thing I liked about this recipe is that it is so healthy. The recipe uses coconut milk so here are a few bits of trivia on coconuts. There is some disagreement on where coconuts originated. Some think it was around New Guinea in the Pacific Ocean whilst others think it was in the American tropics. Unfortunately neither can support their argument with real proof. Near Port Royal, Jamaica a stone monument on the Palisadoes commemorates the planting of the first coconut tree on the island on March 4, 1869. Over the next 20 years, 20,000 coconut trees had been planted but most of these eventually died through disease. Coconut oil was the world’s leading vegetable oil until soybean oil took over in the 1960s. Coconut juice or coconut water is the liquid inside a coconut. Coconut milk is produced by steeping grated coconut in hot water then straining; coconut cream is coconut milk cooked down until it thickens, or grated coconut steeped in hot milk instead of water. Well, here is the recipe. It is quick and very easy but unfortunately you can’t freeze. 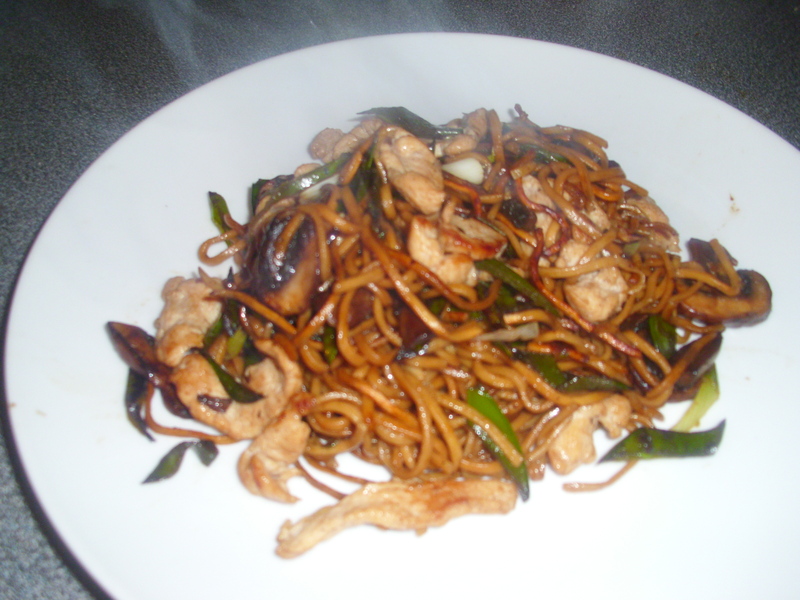 Heat oil in a wok over a high heat and stir fry the chicken until starting to go brown all over. Add the curry paste and stir until the chicken is coated then fry for another minute. Add the soy sauce, fish sauce and shallots then pour over the coconut milk. Mix well then bring to the boil. Turn down the heat and simmer for 10 minutes. Add about 50 ml of water to the sauce to loosen then add the asparagus. Cover the wok and simmer for about 5 minutes or until the asparagus is tender and the chicken cooked through. Mix in the herbs then serve immediately with boiled rice. Chicken Oregano on the BBQ – just need the sunshine and you could be anywhere in the Med! The first time we had this chicken dish was in Rhodes in the Spring. I had just retired and we had rented a Villa for a month. We cooked it on an old tin BBQ in the garden and I don’t think food ever tasted better. Since then we have cooked it over and over again. 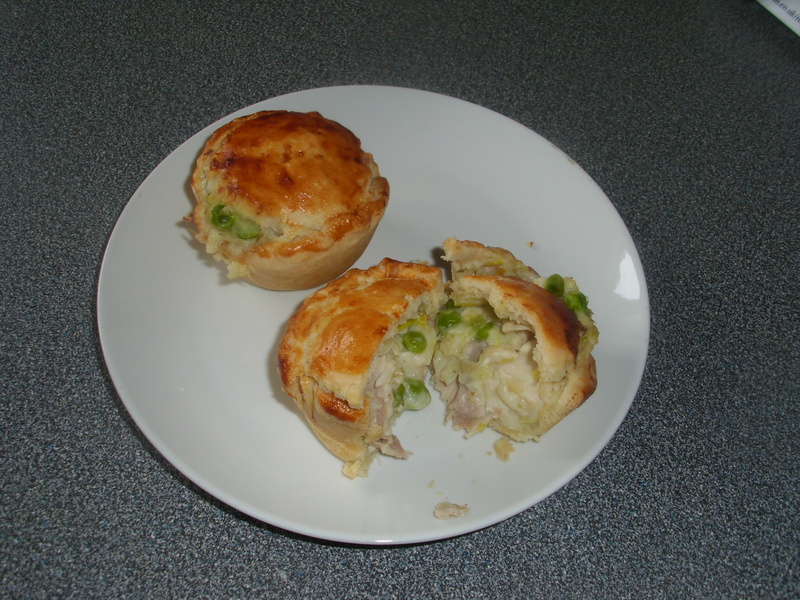 It is such a simple recipe and it never fails, unless of course you burn the chicken before it is cooked in the centre. Jamie Oliver has a top tip for BBQing chicken that prevents this. Butterfly the joint (pare the meat away from the bone so it is exposed). The bone is then able to conduct the heat so that the chicken is cooked through without running the risk of having a burnt outside while the middle is still raw. Works every time for us! Before I share the recipes I am reminded of a great evening we spent with friends in Aegina. I am sure I have mentioned Aegina before, and no doubt will do again. It is, without doubt, one of our favourite Greek Islands. Marc and Jane have a lovely house just outside of Aegina town and they had invited us to stay with them for a few days. On this particular evening we were going to have a BBQ. 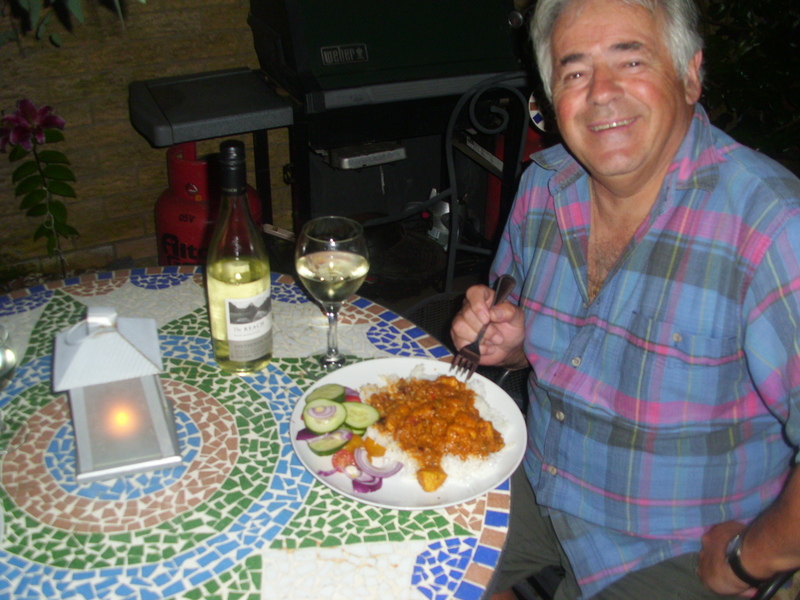 Marc had made his own BBQ out of half an oil drum, a sight many that have been to Greece will be familiar with. He confessed that he was not very good at lighting the BBQ and that he always started early as it usually took umpteen attempts. 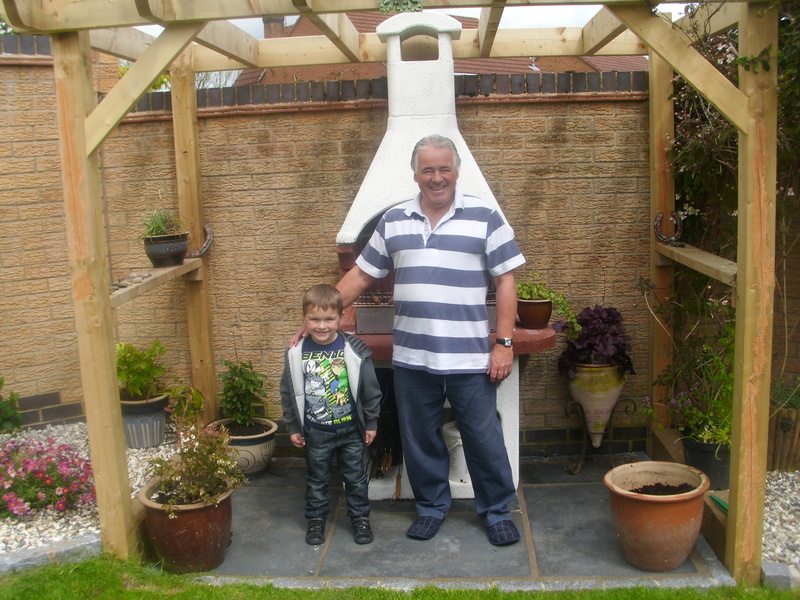 I can still see Terry’s face when he watched him prepare the charcoal, and Marc’s face when Terry took over the proceedings and lit the BBQ first time. Marc was amazed and promised undying gratitude for the lesson. The chicken has been marinating in the fridge for 3 hours and is now ready to be cooked. All we need now is for our neighbours to arrive and let the party begin! Here are the recipes. Arrange the chicken portions in a large shallow dish. Mix all the other ingredients together well then pour over the chicken. Cover and refrigerate for 2 – 3 hours, turning occasionally. Half an hour before you are ready to eat, remove the chicken from the marinade and cook on an oiled BBQ rack or under a preheated grill for about 30 minutes, turning occasionally, until the chicken is golden and cooked through and the skin is crisp. Serve the chicken immediately. Cardamom butter chicken – absolutely delicious. 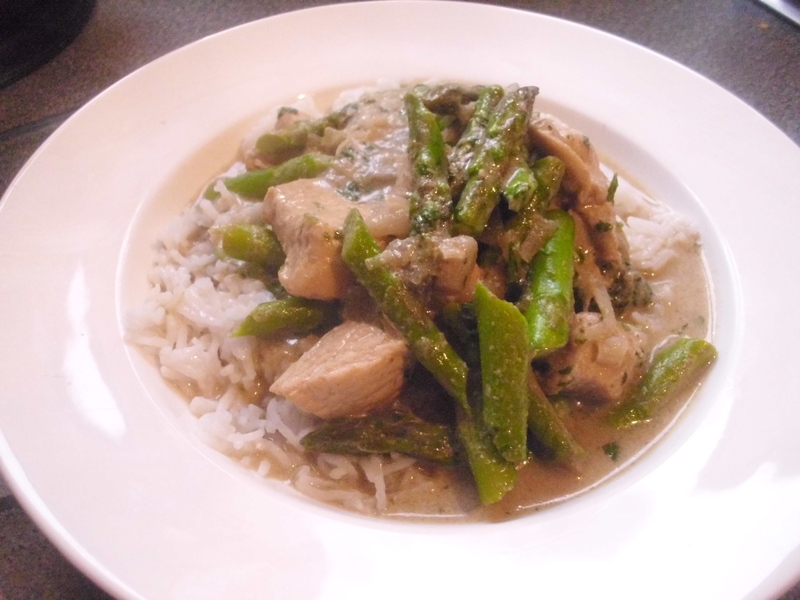 This is a fantastic curry, fragrant and creamy and not too hot. It suited my palate perfectly. A large number of cardamoms are used in the recipe so here is a little information on this aromatic spice. Cardamom is the dried, unripened fruit of the perennial Elettaria cardamomum. Enclosed in the fruit pods are tiny, brown, aromatic seeds which are slightly pungent to taste. Throughout the Arab world, Cardamom is one of the most popular spices, with Cardamom coffee being a symbol of hospitality and prestige. The spice is also very popular in the Scandinavian countries where it is used more extensively than cinnamon. Cardamom is one of the oldest spices in the world, and the most popular spice in ancient Rome was probably cardamom. It is the world’s second most expensive spice, saffron being the most expensive. A member of the ginger family, cardamom can be traced as far back as the 4th century. It makes appearances in famous written tomes like The Bible and The Arabian Nights. The spice has been used as a form of bartered currency in India for centuries, and now is cultivated in roughly half a dozen exotic locations across the globe. Most closely associated with Indian, Middle Eastern, and Scandinavian cuisine, cardamom has had many uses throughout its long life. Its enticing aroma was said to have been used as perfume by the Greeks and Romans, while the Egyptians used it to freshen breath. The spice is more commonly used in the complex curry and masala dishes of Indian and Middle Eastern cuisine. Scandinavian cookery uses it in baked goods such as pastries and breads, while Turkish and Arabic cuisines throw it in with pilafs and other flavorful rice dishes. The spice adds dimension to pickles, and to a surprising array of beverages including Russian liqueurs, various mulled wines and punches, Indian and Moroccan sweet drinks, and Arabic coffee. The recipe was in the June edition of Good Food. Here is a link to it on their website. I cannot tell you how wonderful this dish is. Not only is it delicious but it is quick and really easy to make. I was a bit concerned when I saw I had to add sugar to the sauce but it gave a wonderful caramelised finish to the dish. Never again will I be phased or put off trying a savoury recipe that has sugar in the ingredients. 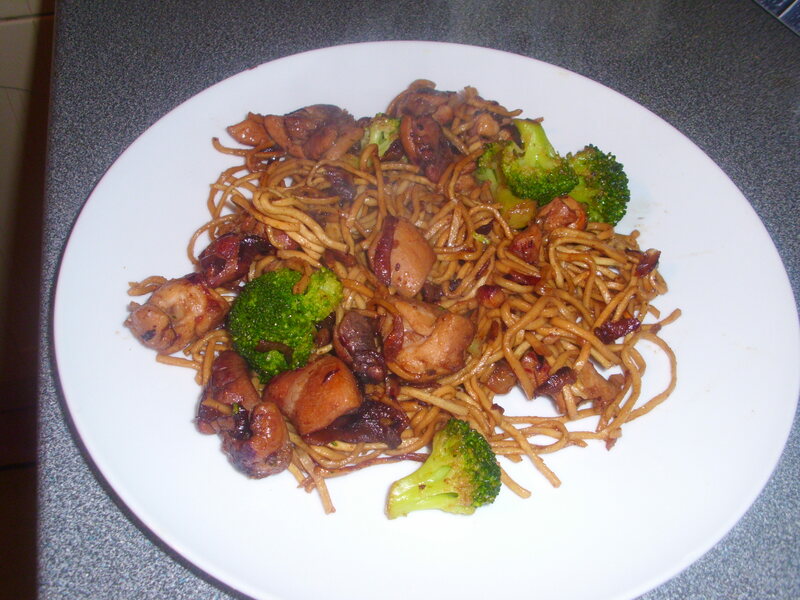 I would not normally make Chinese food if I am having guests for dinner as I’ve found recipes can be hit or miss and also because all the cooking is done when the guests are there so it can be quite stressful. I might make an exception for this one though as you can blanch the broccoli and noodles in advance as long as you warm them through properly before you serve. The one change I would make to the dish is to cut the chicken thigh meat into smaller pieces, perhaps about 1 inch, as it was difficult to know when they were cooked through when quartered. Mind you, keep an eye on them as you don’t want the chicken to dry out and many, including myself, have a habit of over cooking chicken to make sure it is cooked properly. 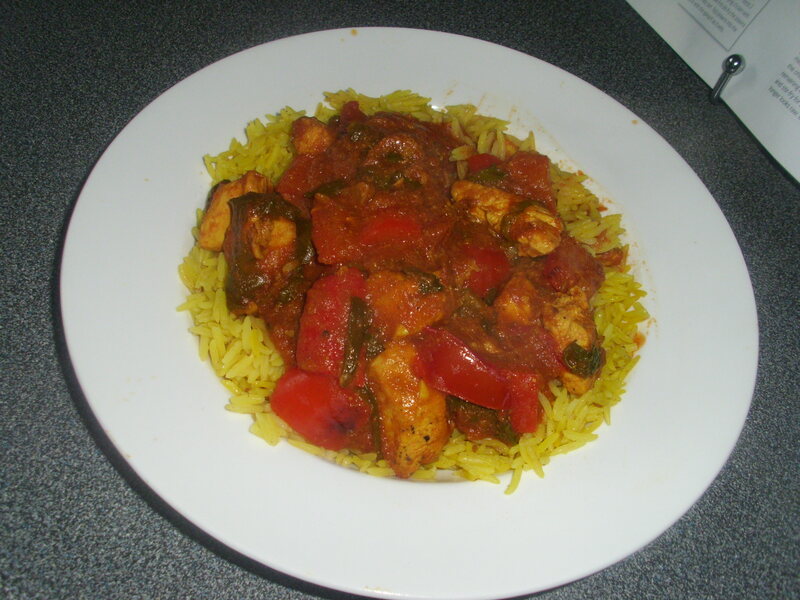 Chicken Balti – a low-fat version for the health conscious! Curries sometimes have a reputation for being high in fat due to the ghee in the ingredients. This Chicken Balti dish is just the opposite! I got the recipe from one of my Good Food magazines, made it ahead and then ate it when we came back from the pub on a Friday night. A perfect end to the evening! There is an area in Birmingham called the Balti Triangle. I have only eaten there once but it was a truly memorable experience. the Balti Triangle is an area of Birmingham in Sparkhill, Balsall Heath and Moseley bounded by sections of the Moseley Road (A435) and the Stratford Road (A435). I am sure my friend Sheila is probably an expert on all the restaurants there, she loves curries so much! A true Birmingham Balti must be served in the same thin steel bowl it is cooked in over a hot flame, as it is this “Balti” bowl that gives the dish its name. The purpose of the Balti dish is to keep the curry hot after it has been cooked over a high heat. As well as keeping curry sizzling, the metal Balti dish retains all the dish’s flavours. The curry should then be scooped up and eaten with a naan bread instead of using cutlery, in a traditional fashion. The high heat method of cooking Balti is thought to have stemmed from Western customers’ expectations to be served their meal quickly. While ghee is the traditional cooking ingredient used on the south Asian sub-continent, the use of vegetable oil in Birmingham Baltis is stipulated as a key unique feature in the BBA’s application to EU. This makes it a much lighter, fresher curry. Pre-prepared generic commercial curry pastes and powders are not used and not permitted in any true Birmingham Balti. Here is a link to the recipe on the Good Food website, along with the usual slide show of when I made it.